In honor of National Building Safety Month, we at Kay Plumbing are discussing Gas Safety. South Carolina is a Natural Gas State with lines running all over. Many homes and businesses around the state have gas lines in their building providing the occupant with power and/or heat. For this reason, we wanted to discuss what causes gas leaks, what to look for and what to do when there is a gas leak. Most of the facts below are provided by South Carolina Gas & Electric (SCE&G) and apply to you locally. 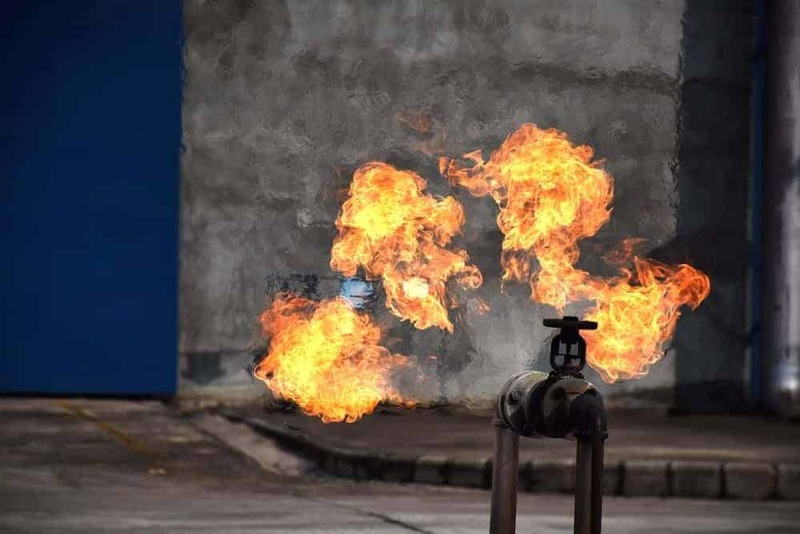 Accidents caused by gas leaks are rare, but when they do happen it can be devastating. Maintaining your gas lines and appliances is vital in ensuring you and your family stay safe from gas leaks. Gas leaks can come at any time and in many forms. Gas fumes from older appliances can cause carbon monoxide to build up in tight spaces, like the closet where you keep your water heater. An old gas line can crack, just like a water line, and leak gas. All gas appliances are at risk really. Normal wear and tear can cause leaks in seals, so annual check ups are recommended. Ask your plumber if they offer protection service agreements that offer at least an annual inspection if you do not want wish to monitor your gas lines alone. 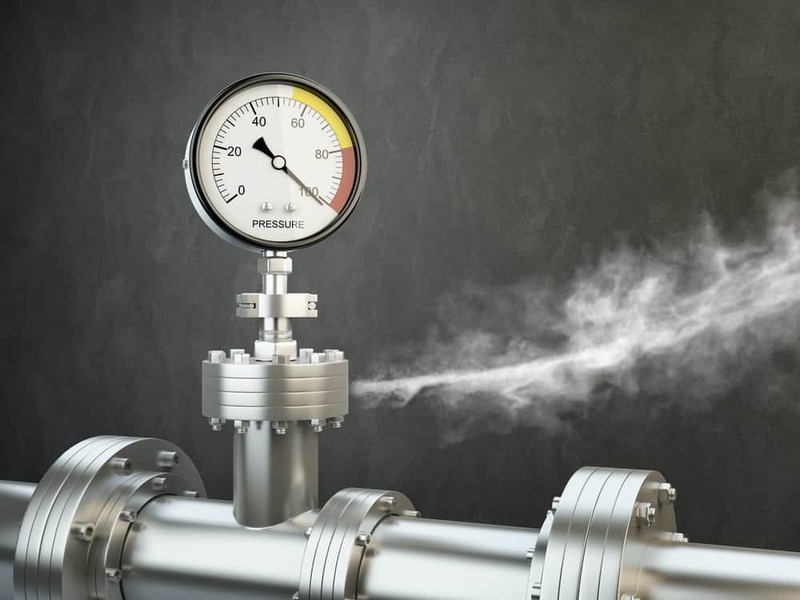 We at Kay Plumbing also recommend that new gas appliances be installed by a professional to ensure they are properly installed and have room to “breathe”. Dirt/debris blowing into air; persistent bubbles in water-covered areas. From a safe place, call Kay Plumbing at 803-445-3707. We offer 24/7 emergency services and can repair the gas leak on the spot, saving you time and money. Do not use any electric switch, telephone or cell phone, garage door opener or flashlight as they can cause sparks and ignite gas. Do not start or stop nearby vehicles, machinery, or things that may spark. You have probably heard it before, “Know what’s below, Call 811 before you dig”. There is a reason for that. You can easily rupture a gas line buried in your yard when you dig. In South Carolina, pipelines are located along roadways, private property, steams; anywhere that might make it easy to provide services to everyone. These pipelines are usually marked at “regular intervals” but not seeing a marker doesn’t mean it is okay to dig. Just give 811 a call before you start to dig and wait, they will come out and mark all pipelines for free, so you can proceed with your project safely. Kay Plumbing takes pride in offering Columbia South Carolina Master Plumbers that are certified and trained in gas. From repairing gas lines to installing gas appliances like tankless water heaters, we can help. So, if you have a concern about the gas lines in your home call us today and schedule your gas safety inspection. Or ask about our Protection Service Agreement that comes with bi-annual inspections of all plumbing systems in your home. Don’t wait until it is too late, call Kay today!